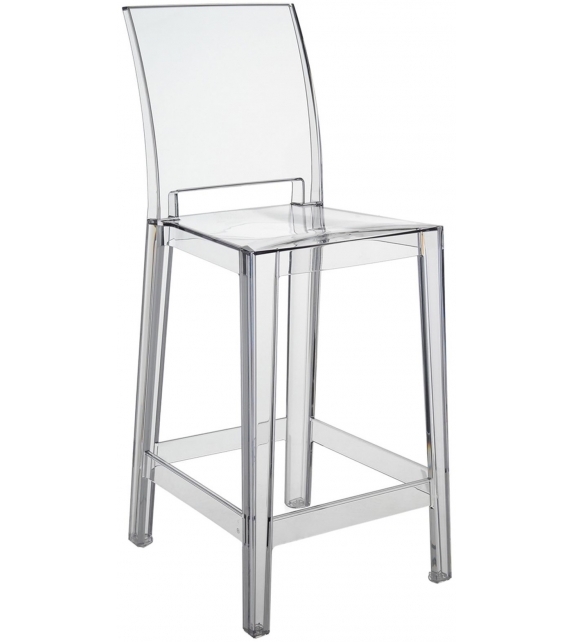 One More Please is a stool designed by Philippe Starck for Kartell. "If you want to sip a drink at the bar in peace and quiet, you need a comfortable tall stool with a back to lean against. Sometimes one drink is not enough: and you need ""One more"" and sometimes ""One more please"". 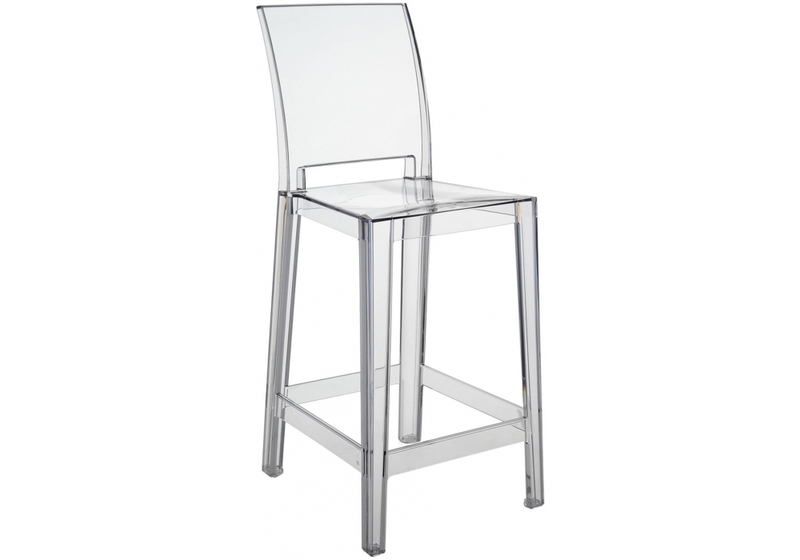 One More Please is a stool designed by Philippe Starck for Kartell. "If you want to sip a drink at the bar in peace and quiet, you need a comfortable tall stool with a back to lean against. Sometimes one drink is not enough: and you need ""One more"" and sometimes ""One more please"". The ""Ghost"" family, one of the famous Kartell icons, multiplies its ranks with stools of different heights - 65 cm or 75 cm and backs, either oval or square, but flexible, practical, coloured and resistant. The stools are single mould products with a changeable back."